A 1/4 display shelf unit which complements the Tortuga Single Sided Library Unit enabling you to extend your library furniture range. There are 2 heights to choose from - 1200mm and 1500mm. The 1200mm high unit has 3 shelves and the 1500mm unit has 4 shelves. We have 11 bright colours to choose from and you can specify each component separately, for example green end panels and beech shelves and back panel. 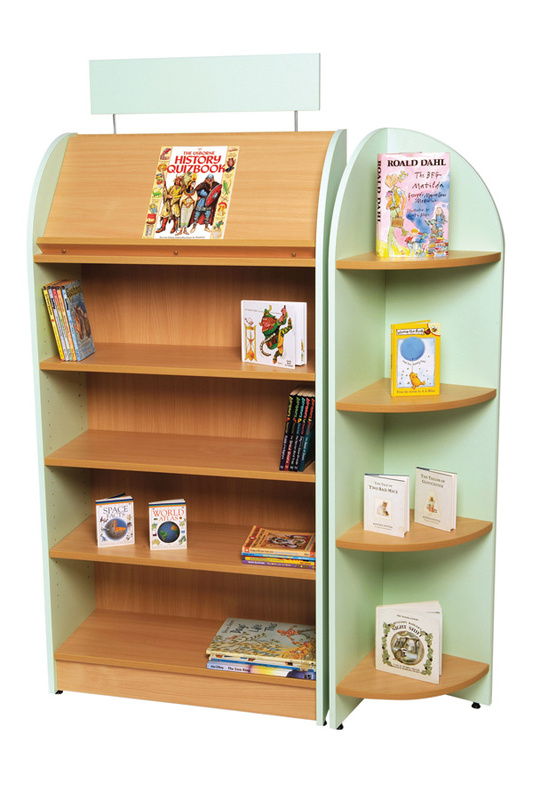 This library shelving is made from high quality melamine-faced particleboard with 2mm thick PVC edges. Great for schools and school libraries. Please note: For multi-unit orders an on-site assembly service is available. For more information please Contact Us or call us on 01733 511121. 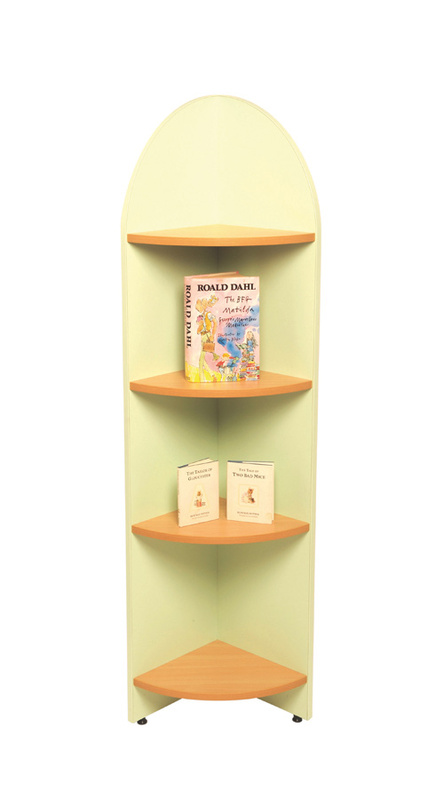 See our full range of Tortuga library shelving.